Guide provides concepts, tools, and insights for effective strategy formulation; along with examples of successful and not-so-successful strategies from real companies. Softcover. DLC: Strategic planning. 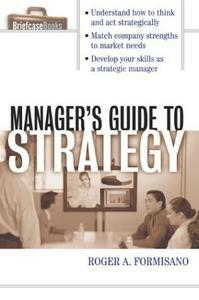 As a manager, every decision you make must both support and drive your organization's strategic goals. But first you must understand those goals–what they are, how they were arrived at, how you can contribute to them, and what you can do to help achieve them. Successful companies and managers recognize that strategy development is a continuous, iterative, and interactive process. 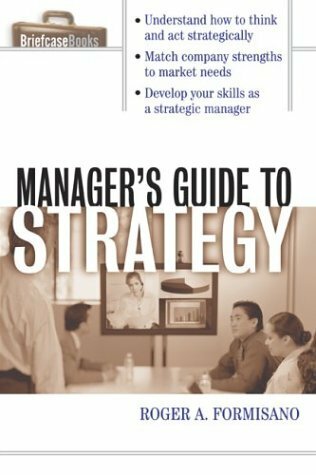 Learn how to both think and act strategically–for the benefit of your organization, your customers, and your career–in Manager's Guide to Strategy. [Mistake proofing icon] Advice for minimizing errors when "working the numbers"
Roger A. Formisano is a professor of executive education at UW-Madison, focused on the areas of strategy, leadership, governance, and mergers and acquisitions.